It’s been a busy fall . . . 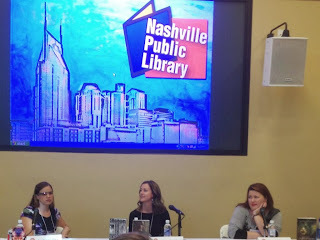 Right on the heels of the YA AdVANture tour, Tessa Gratton, Tara Hudson and I managed eleven library/school visits in five days. 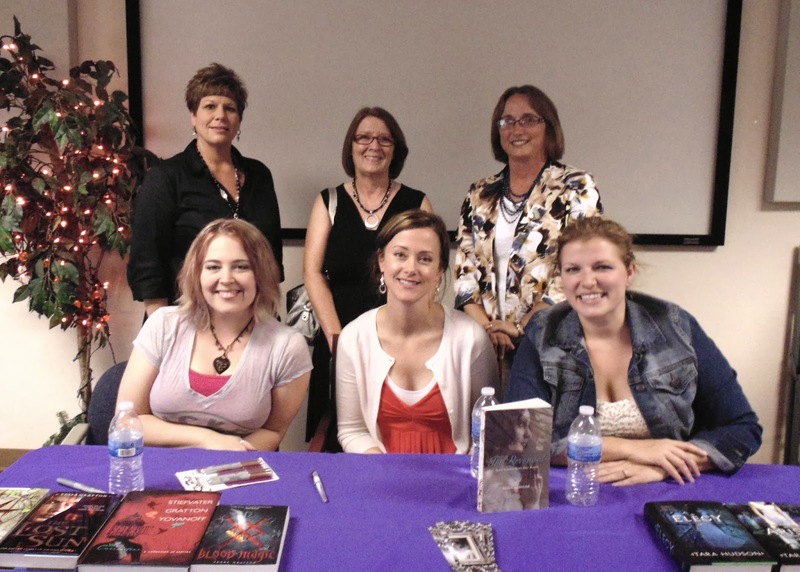 (The above photo was taken at the Blanchard Public Library.) 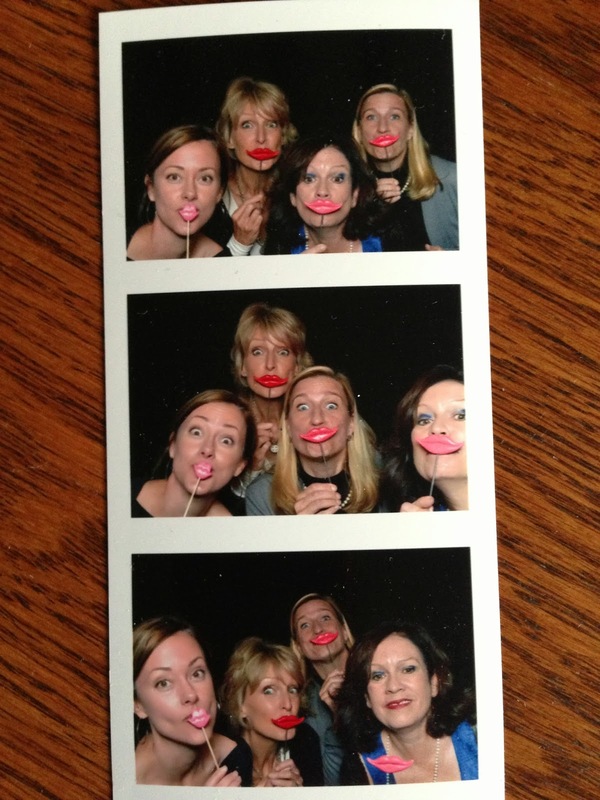 We had a blast that week! It was hard to say goodbye at the end. Up next? My road trip to Tennessee. 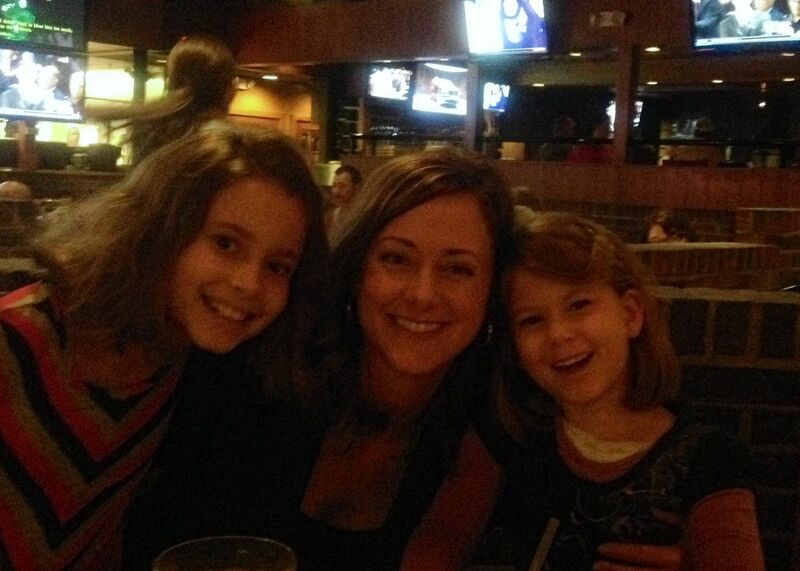 I enjoyed visits with friends and family (hooray for sweet nieces! ), but also managed three library appearances. Many thanks go to Pam Ford at the Stewart County Library, Jean Nichols at the Clarksville-Montgomery County Library, and Kay French and Kaity at the Houston County Library. 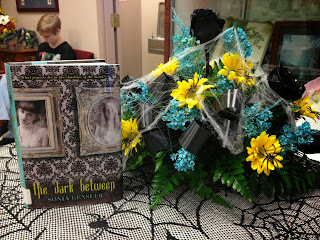 They all welcomed me so warmly, and the Houston County library even put on an English tea spread, with the added bonus of a spooky flower arrangement that matched The Dark Between (see above)! 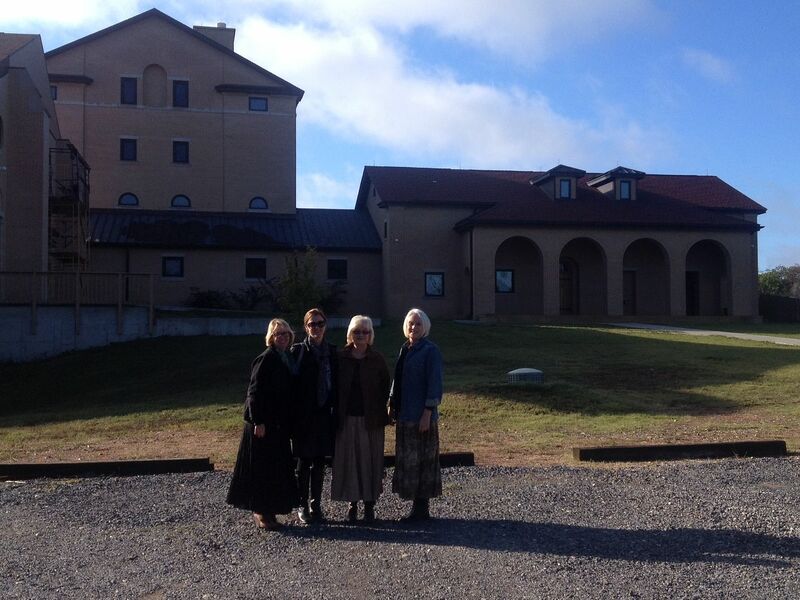 This past weekend I enjoyed a relaxing and inspiring retreat by Lake Tenkiller in Tahlequah. My crit pals and I chatted, played word games, visited a Benedictine Abbey (!!! ), critiqued, and set goals for our writing. 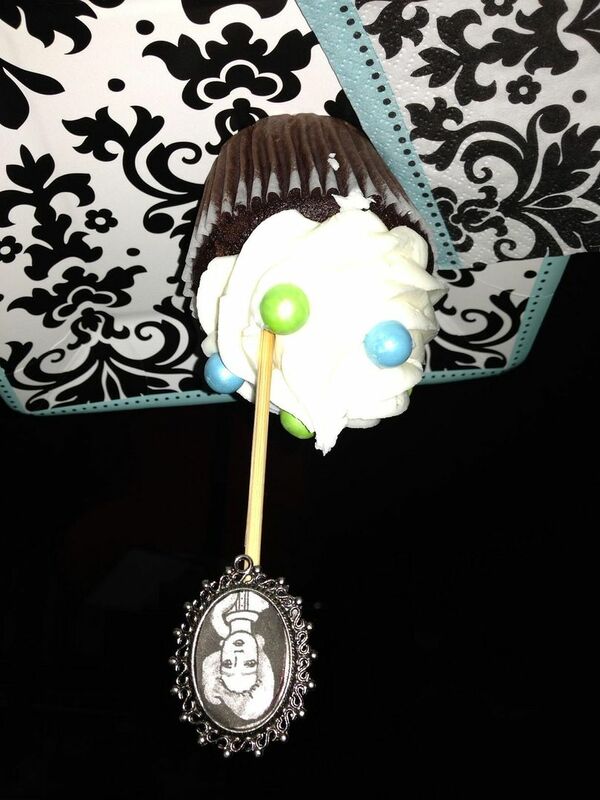 My lovely friends also threw a little party for The Dark Between, complete with character cupcakes. So . 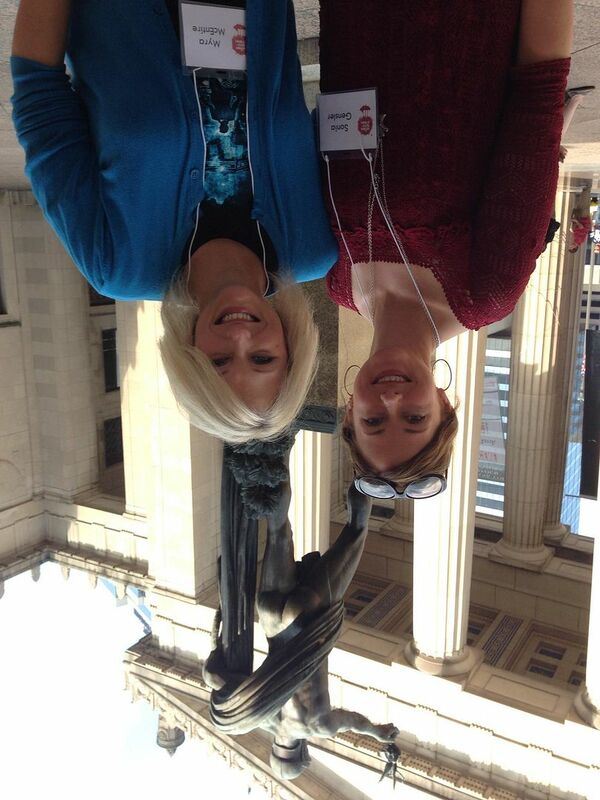 . . lots of travel and talking and fun. But now it’s time to get back to my hermit hole and WRITE. Stay tuned for giveaways featuring books from authors I’ve spent time with recently! This entry was posted in Traveling and tagged author visits on October 23, 2013 by SoniaG. Giveaway winners and AdVANture Tour! Congrats to them, and thanks to everyone for entering! Updated tour details below. We’d love to see you! 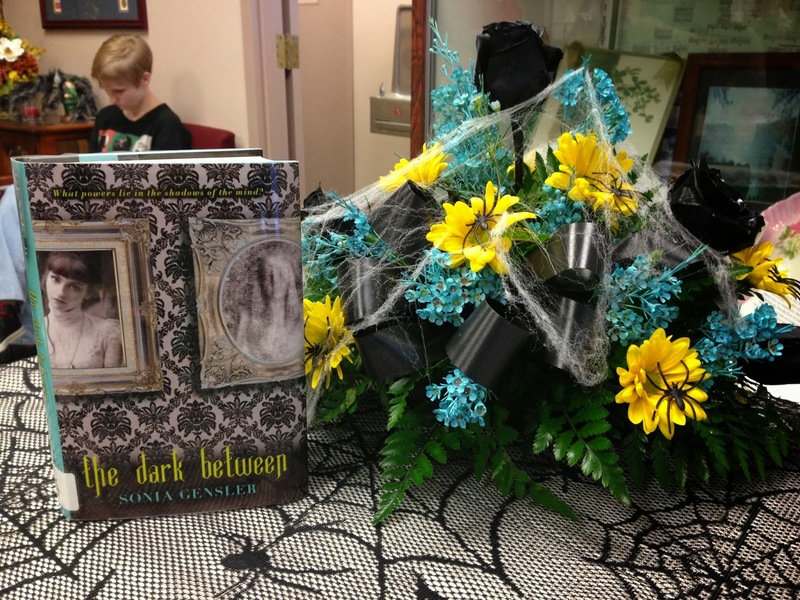 This entry was posted in Traveling and tagged author visits, giveaway on September 5, 2013 by SoniaG.